Come join the FOOD WASTE part of the climate march & give out free apples! FB INFO HERE! TOMORROW, in LONDON, join us, as part of GLOBAL marches to show politicians that we care about our planet, and to share FREE APPLES with the people of London and shout out about the HUGE environmental impact that Food Waste has on our planet! Tomorrow [Sunday 29th November] people from all over the world will be marching for the People’s Climate March: uniting to show the politicians, companies and delegates at the upcoming COP21 talks in Paris (starting on Monday 30th) that we, the people, globally DO care about what is happening to our planet and that we DO want a just and fair agreement that pushes countries to act and make change to slow down climate change. And, Food waste has a huge part to play in climate change! So Abundancers will be joining forces with the wonderful FEEDBACK GLOBAL and food surplus cafes and food waste folk from all over the UK to spread the story about food waste and it’s incredibly significant impact on our climate. As the march is officially off in Paris due to the horrible events of Friday 13th, it’s even more important that we march where we are, and show that we care. The UN climate summit in Paris will be the biggest global climate summit this decade. -we’ve got some signs to set up and leaflets to give out, explaining more about why we’re doing this so all the extra hands we can get is great. -we’ve got someone filming the giveaway and the march too! 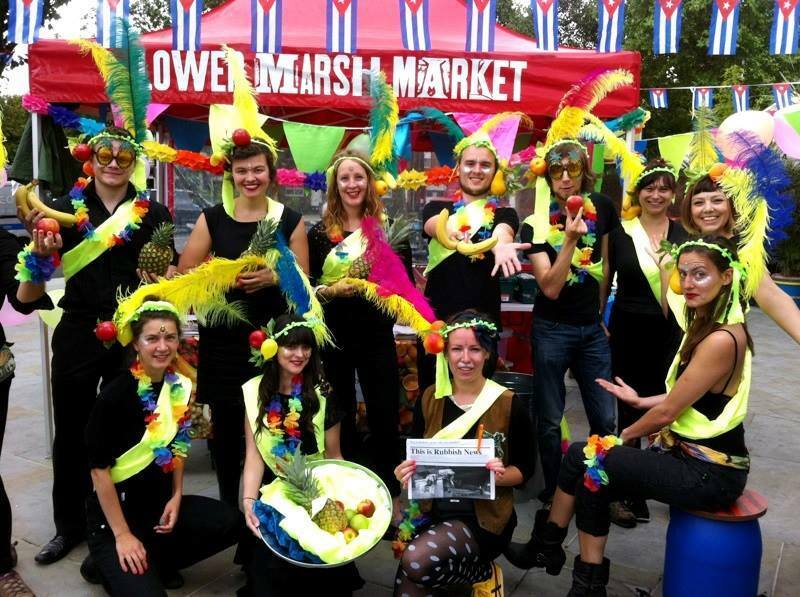 We invite you to come in colourful head dresses, fruity outfits and clear messages calling big businesses, supermarkets and policy makers to publicly commit to measuring and preventing food waste. 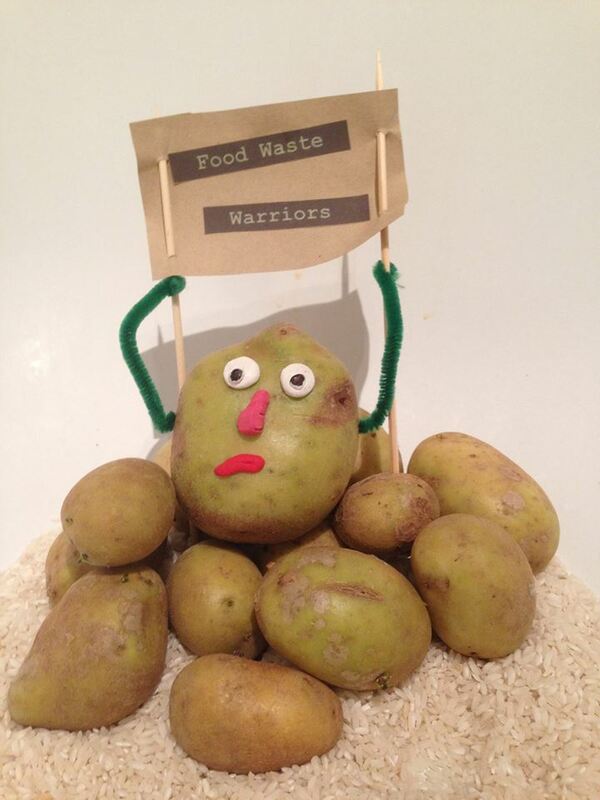 Feedback, together with other anti food waste organisations such as This is Rubbish and Olio, will be forming the food waste warriors bloc to take to the streets of London this Sunday, 29 November at the People’s March for Climate Justice and Jobs. We will be joining other food and agriculture organisations to make our voices heard before the COP 21 commences on Monday. 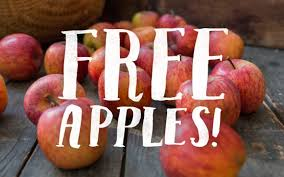 We also need volunteers for our epic apple giveaway! On Sunday, we will be handing out thousands of delicious apples that would have otherwise been wasted to demonstrators and the general public. The apples were rescued by our amazing Gleaning Network UK team. We need volunteers to help hand them out! Email pascale@feedbackglobal.org if you wou…ld like to help. If food waste were a country it would be the third largest emitter of greenhouse gases- just after the US and China.Food waste squanders natural resources like water, energy and land. It also needlessly produces greenhouse gas emissions, making it one of the largest contributors to climate change. We need your help to show just how large the problem is and that the solutions are tasty! Join the food waste revolution! Join the Food Waste Bloc at the Climate March and don’t miss out on this epic day. Then we will expect to start marching from 1pm – so remember to bring warm clothes, your friends and some munchables underneath your funkiest, fruitiest costumes.